At any rate, even though all major characters has the "superman" ability that simply save the day when needed, the story's other elements keep them in check where they can't just simply punch their way to victory. Simply put, if I'm to pick the top anime from this season I'm enjoying the most at the moment, this would be it. at 12:08 PM Tags: Mondaiji-tachi ga Isekai kara Kuru Sou Desu yo? Not sure if you saw my previous post on your other Mondaiji post but what kind of editor were you thinking? 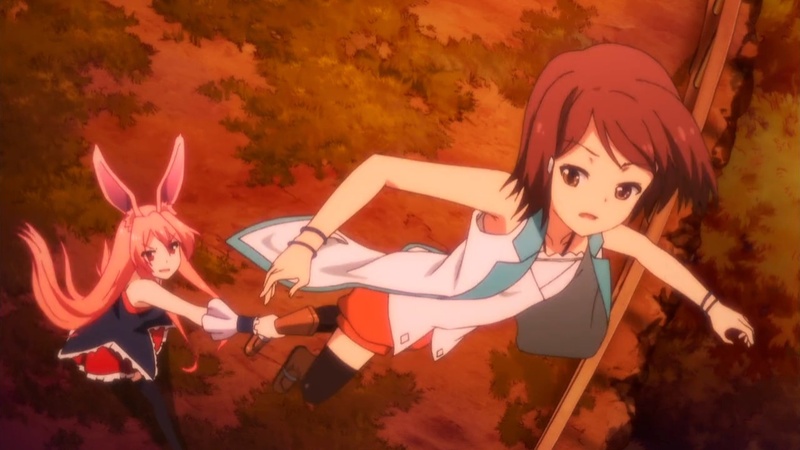 Also are you watching Sakurasou and Zetsuen no Tempest? Rather than editor, I think it's more like a co-author, to make blog posts once a while. As you have noticed, the number of posts have dramatically decreased last year. Even though I still watch enough anime, there's not nearly enough time for me to write blog posts like I used to . I definetely watch enough anime to be able to contribute the problem is im not very confident about my writing skills, i worry that i'd be bringing the quality of the blog down. I could try making a couple of reviews and emailing you come next season. If they pass i'd give it a shot does that work ?